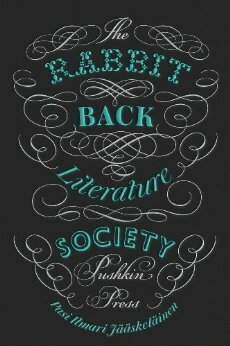 The Rabbit Back Literature Society is a book that starts out promising... and then fizzles, gets lost, and dies. The setup is promising: a writer of mythology-inspired books (mostly read by children) started a small creative writing group for talented kids, a generation ago. She recruited nine children, all of whom have become successful authors in adulthood. Now, decades later, a young substitute teacher (our protagonist) finds herself invited to join the mysterious society as the tenth member. Oh, and there is a strange plague affecting books in the library: the texts and plots change. Soon after joining the society (which includes a pivotal moment of mystery), our protagonist learns of 'the nosferatu game', wherein the writers sneak up on each other at night, and challenge each other, and have to tell the whole, unvarnished truth about whatever they are asked (under torture if they lie or omit anything), and then switch around and interview their challenger. Once she's in the society, the novel quickly loses any kind of momentum and mystification: it mostly consists of interviews via the above-mentioned Nosferatu Game, and dream sequences. The interviews are basically giant infodumps, each character narrating some events and memories. The reading experience changes during the story: at the start, there are witty, quirky observations, and the sort of clever things a young person might think and be very pleased with. There is a bit of mystery, around the book plague, and quirky mythical magicalness. But that gets lost, as the focus shifts entirely, and then the plot pursues the new focus in a meandering, half-bored way. By the end of the book, I found myself struggling to keep reading, and when I reached a series of chapter called "Epilogue", I was surprised: the story had not ended, and the final chapters were no epilogue, but simply final chapters. Many things never get resolved, and the constant dream-scenes and quite boring expositionary infodumps make the book a painful, boring read. It starts out reading like the work of a talented writing student (all the characters are writers and aspiring writers and literature students), and ends up reading like something that never knew where it was going and got finished off in an all nighter by someone terribly bored with their own work. All in all, I'd give this one a miss.